There seems to be no end in sight for the San Francisco housing market that continues to gain steam. According to a recent report from Redfin, home vales in San Francisco rose in December by 12 percent on an annual basis reaching a whopping $1.15 million. Prices are holding buyers back either, the volume of sales increased annually by 7.7 percent. 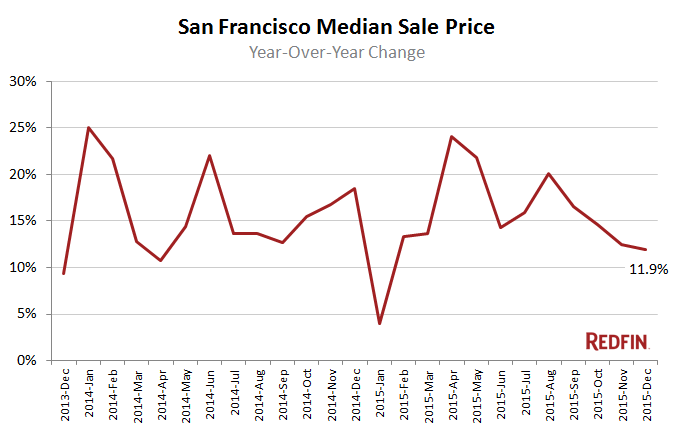 There is a shining light for homebuyers in San Francisco. The home price increases are dampening slightly compared with months like August when annual growth was around 20 percent. 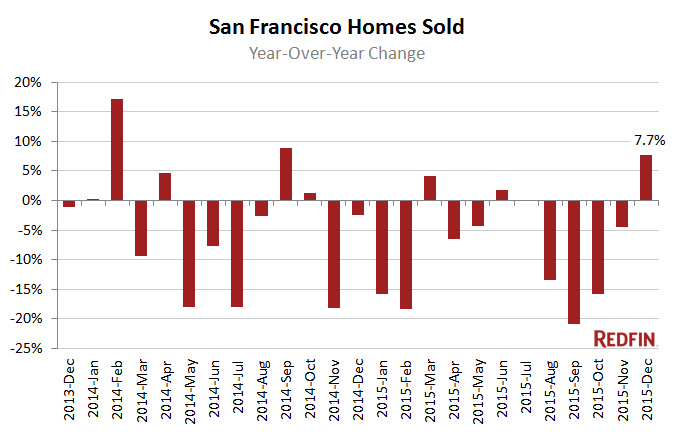 It’s been since May that San Francisco saw a higher number of home sales this year greater than last. Busy buyers trying to get in during the typical slow December season helped nudge home sales to a 7.7 percent annual change. Ashbury Heights is the area’s priciest neighborhood with a median sale price of $2.24 million, which is a 86.5 percent increase year-over-year. Compare this to the City by the Bay’s most affordable neighborhood, Tenderloin where the median sales price is $483,500.